Although best remembered today as an Australian film pioneer, John Gavin also worked as a cattle drover, was a captain in the Sydney Lancers, an actor with Bland Holt, an advance rep for J.C. Bain (1898), and while in the USA (ca. 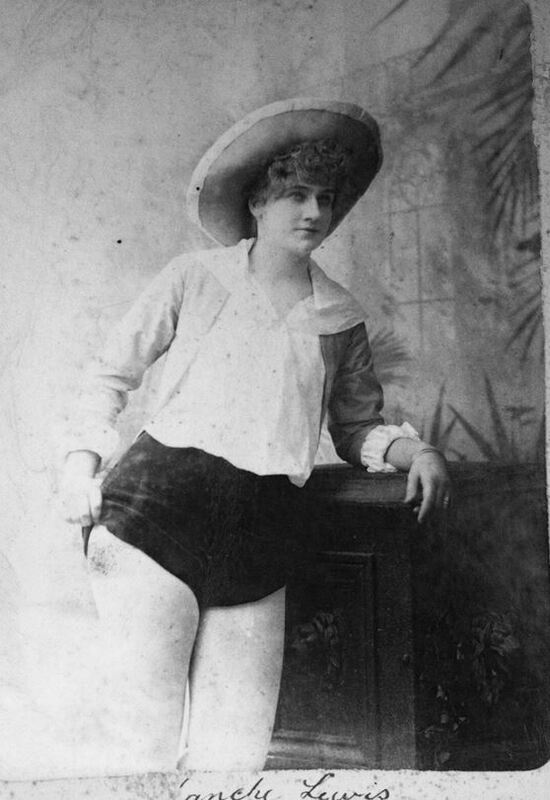 1899-1906) an employee of both Bailey’s Circus and Buffalo Bill’s Wild West Show. He established his own Wild West show in Adelaide in 1906 and prior to making his first film in 1910 worked as a Sydney theatre manager. Gavin directed 14 films (starring in most of them) before moving to the USA in 1918 He returned to Australia permanently in 1925 and directed his last film, Trooper O’Brien in 1928. 1: During his “colourful” career Gavin was sued several times during the 1910s for moneys owed. While managing the Bijou Theatre, Sydney, in 1909 he was also charged with assault. 2: Gavin’s Australian film career was undertaken jointly with his wife, Agnes (nee Wangenheim, 1872-1947). She wrote most of the screenplays for the films he directed. Although Gavin claims to have appeared in almost 300 films (mostly in the USA) only around 50 have been established. His most acclaimed film as a director was The Martyrdom of Nurse Cavell (1916). Image source: Andrew Pike and Ross Cooper. Australian Film 1900-1977 (1980), 15. Irish-born dramatist Edward Geoghegan’s plays were the most staged in Australian during the 1840s. Within a few years of being sent to colonies convict he began writing works for the stage, and by 1844 was creating original dramas for the Royal Victoria Theatre in Sydney. He was given his ticket of leave in 1846. Although little is known about Geoghegan from this time on, he appears to have retired from writing for the theatre by the 1860s, settling in Singleton, New South Wales, where in 1866 he became the municipality’s first Town Clerk. (1884-1972) Variety entertainer, actor, film director, screenwriter. 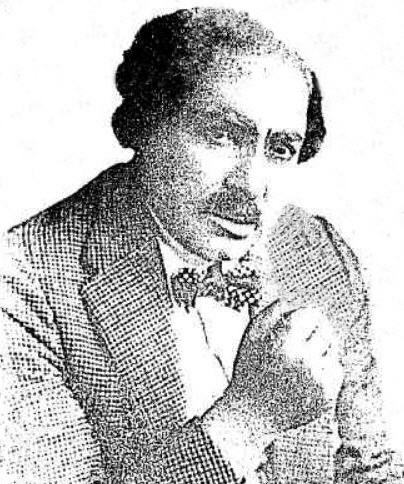 Alf Goulding performed in vaudeville in Australia and the USA before moving into the moving pictures industry. He went on to establish himself in Hollywood as a film director and screenwriter, working on more than 180 films between 1917 and 1959 (including some 50 screenplays). In his early career he directed Harold Lloyd comedies for Hal Roach, played an important role in the career of child star Baby Peggy, worked for Mack Sennett and turned out two-reelers at RKO and Columbia. His only Australian film was A Yank in Australia (1942). 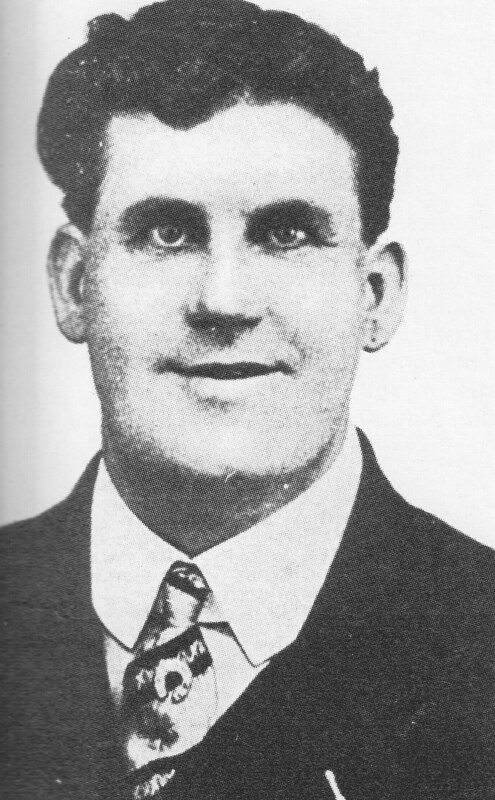 Goulding also spent time in Britain after the war directing low-budget films. He died in Hollywood from pneumonia. (ca. 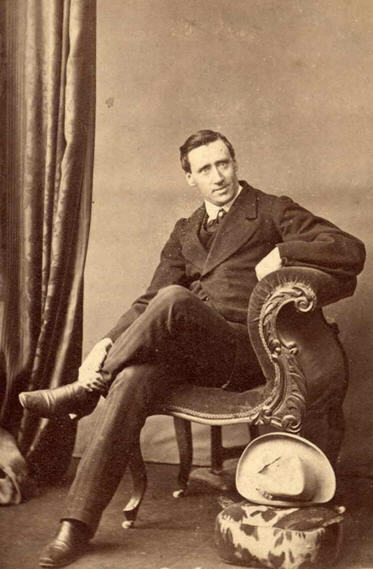 1835-1894) Irish-born actor, manager, comedian. John Greville came to the Australian colonies in 1854 and after trying his luck at gold mining in Bendigo found a more promising career as an actor and later as manager of visiting theatrical companies to the goldfields. He later established his reputation in Australia and New Zealand as a burlesque comedian and on a number of occasions undertook tours with his own companies. In 1877 he joined with scenic artist John Hennings and actor/entrepreneur George Coppin as lessees/managers of Melbourne’s Theatre Royal. The firm also produced his pantomime Jack the Giant Killer in Sydney in 1880. (ca. 1959-) Librettist, journalist, arts patron. After immigrating to Australia from England in 1880, Francis Hart became a well-known and highly controversial West Australian journalist. He founded several theatre and operatic societies in the state, including the Perth Amateur Operatic Society. He also established a close association with West Australian governor, Sir William Robinson and with whom he collaborated on various musical works. Hart and Robinson scored much success with the song “Unfurl the Flag” and the operetta The Handsome Ransom (1894). Henry Richard Harwood started his working life in the building trade before moving to Australia in 1852. He turned to acting and stage managing at Sydney’s Royal Victoria Theatre and later toured New Zealand and Australia. Harwood’s managerial career started in 1867 with Messrs Lambert, Vincent, Bellair and John Hennings at Melbourne’s Theatre Royal. He is best known, however, for his partnerships with John Hennings, Richard Stewart and George Coppin at the Royal. With them he staged numerous productions, including pantomimes and burlesques. He returned to acting after losing money in the 1892 banking crisis. Image: Weekly Times (Melbourne) 24 Oct. (1874). Source: National Gallery of Australia. Richard Horne pursued a seafaring career before publishing a number acclaimed works of poetry, prose and drama. He travelled to Australia in 1852 and securing employment in various public service positions. During the 16 years he resided in the country (1852-69) he successfully staged one of his earlier plays, The Death of Marlowe (1837) and collaborated with several composers, notably Dr Joseph Summers, Charles Horsley and Carl Schmitt. 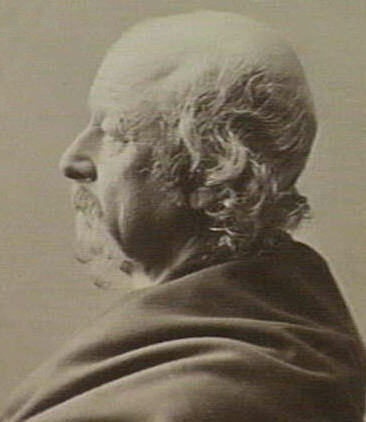 His Australian-written works include the lyric masque The South Sea Sisters (1866), Galatea Secunda (1867), Prometheus the Firebringer (1864) and the opera Cazille (1872). Regarded as fine theatrical singers the Howsons established high profile reputations during their time in Australia (1842-66). After moving the colonies the brothers staged an extensive repertoire of drama and music theatre in Sydney. In 1847 both appeared in Isaac Nathan’s opera Don John of Austria, and the following year they produced John’s own opera, The Corsair. In 1853 Frank wrote the text for a musical farce, Rogers Worried, and from 1856 he and John toured extensively with Andrew Torning‘s company. All three siblings left for America in 1866. Born in England and raised in New Zealand, Fergus Hume studied law at The University of Otago before following the path of a professional author. After starting out writing for the theatre in Melbourne (one of his works was a burlesque of Don Giovanni) he wrote and published his first and most successful novel, The Mystery of a Hansom Cab. 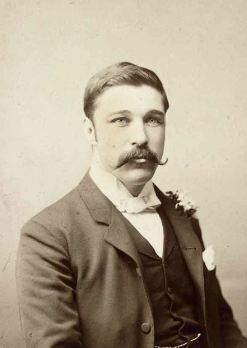 Hume returned to England in 1888 and went on to write more than 140 novels, several of which were serialised in Australian newspapers and periodicals. Born in Bathurst, New South Wales, John Ignatius Hunt went on to carve out an illustrious career in journalism. He wrote for the Catholic newspaper Freeman’s Journal as “The Flaneur” for 30 years, for the Sunday Times and Referee as “Boondi,” and was at one stage sub-editor of the Bulletin. Hunt’s major works included: Hunt’s Book of Bonanzas (1889), and Boondi’s Book: A Careful Selection of the Author’s Most Entertaining Writings (1903). He also collaborated with W.J. Curtis [above] on the libretto for the 1905 comic opera The Coquette. Hunt died at his residence, Huntlea, in Kensington Road Summer Hill (Sydney) on 7 July in Sydney. See also: Tully, Bill. “The Flaneur: 19th Century Australian Fun-Maker.” Margin 58 (Nov. 2002), 18-23. 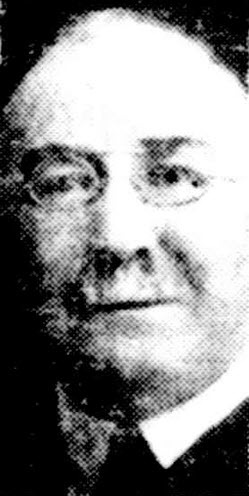 • “The Flaneur: Mr John Ignatius Hunt Dead.” Freeman’s Journal 11 July (1912), 17 (includes a reprint the Referee’s obituary “Boondi at Rest”) • “The Death of Mr J. I. Hunt.” Leader (Orange, NSW) 10 July (1912), 2. 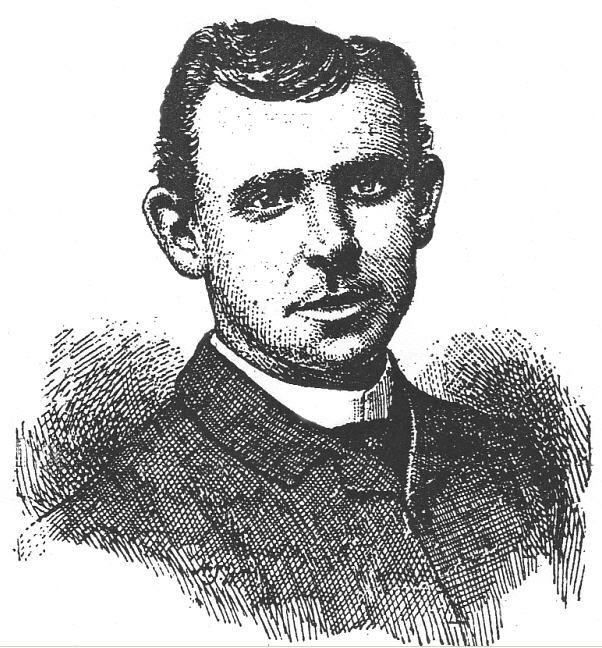 Hunt’s obituary in the Referee mentions his service as organist for a poor parish in Sydney some thirty years previous and that some of his original church music was performed on several occasions. The writer also records that although Hunt composed an opera long ago the work “remains unhonoured and unsung” (“Boondi at Rest,” 14). 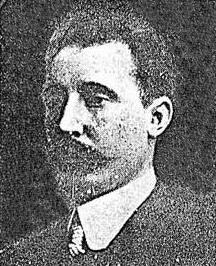 Image source: Freeman’s Journal (Sydney) 11 July (1912), 17. 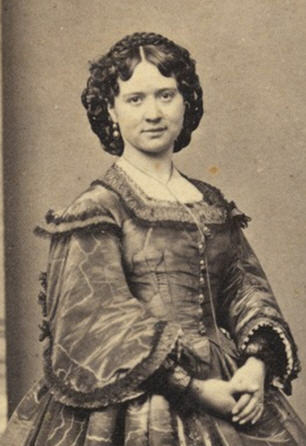 Aggie Kelton started her stage career with Pollard’s Juveniles as Aggie Stewart but after beginning her association with Nellie Stewart in the mid-1880s took her mother’s maiden name. 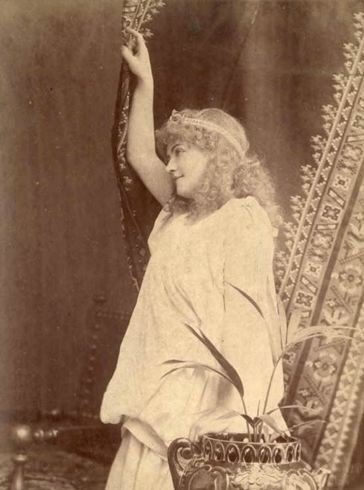 During the 1885-86 production of Cinderella she established her credentials as an actress when required to briefly take over Stewart’s character. Another success around this time was her role as Chepinette in Paul Jones (1889-90). 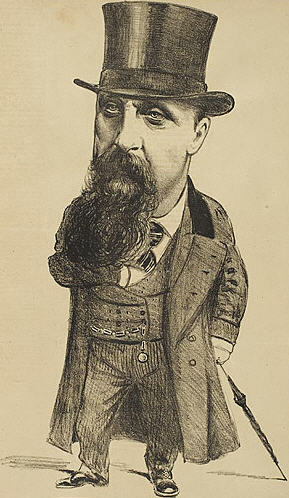 Married to J.C. Williamson’s conductor, George Hall, Kelton’s long association with the entrepreneur included appearances in a number of pantomimes. Kelton was also a sister-in-law to renowned flautist, John Lemmone. Thanks to Amanda Blohm for research. Image source: State Library of Victoria. Stanley August Kilminster grew up in Newcastle (New South Wales) and was active in local theatre. He later moved to Sydney and became involved with amateur theatre as an actor and later director and writer. Arguably his biggest success was the musical comedy What Is It?, co-written with Hubert Russell and staged at the Sydney Repertory Theatre by the Eastern Suburbs Musical Comedy Society in 1915. Kilminster also wrote and published stories and poetry. While little is currently known about his career as a journalist, he is recorded as being brought back to Sydney from Canada (possible in the late-1920s) to work for the Sun as a sub-editor. He was also active in the Australian Journalists Association (A.J.A). See also Clay Djubal. “Stanley A. Kilminster.” AustLit: The Australian Literature Resource (2016). If you are a member of an Australian State Library you can access AustLit for free (many public libraries also provide free access). Students and staff of most Australian universities can also access the service through their institution’s library. A gifted comic, George Lauri grew up in the theatre and during the 1880s toured Great Britain and the USA as an actor/comedian. He came to Australia in 1891 to appear with J.C. Williamson’s Royal Comic Opera Company and remained with the troupe for six years. He joined Harry Rickards‘ organisation in 1897, but after producing the hit satire, A Bunch of Keys and starring in musical comedies and pantomimes, he returned to Williamson’s firm the following year. Lauri, who played more than 60 roles during his 18 years in the country, committed suicide in Sydney in January 1909. He left behind his wife, the actress Marietta Nash, and a son George Jnr. Lauri was involved in many of Williamson’s greatest theatrical successes of the 1890s and early 1900s, including the pantomimes Djin Djin, The Japanese Bogeyman (1895) and Matsa, Queen of Fire (1896). 1890-1967) English-born actress, entertainer, singer. The daughter and sister of animal trainers Henry and Harry Abdy, Marie La Varre made her stage debut in England at age 10 with her mother, Madame Marvelle and performing cockatoos. She came to Australia for Hugh D. McIntosh in 1919 for a series of Tivoli musical comedies and remained. 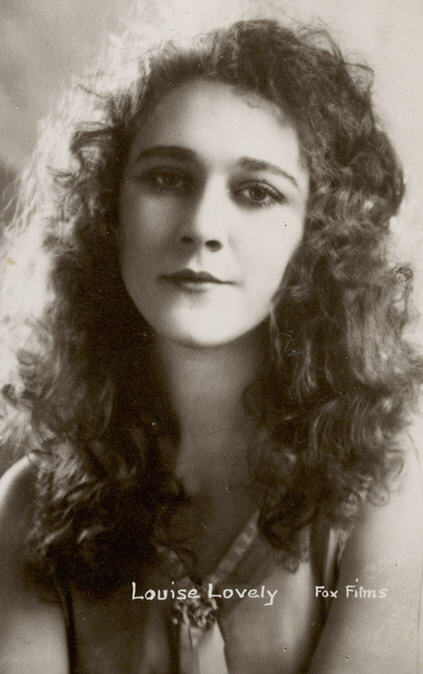 Although largely associated with J.C. Williamson‘s for much of her career as a musical comedy actress, La Varre also worked in vaudeville and pantomime (Fullers’ Theatres), revue (Tivoli circuit), on radio, and in film. Arguably her most prominent stage role was in J. C. Williamson’s Annie Get Your Gun, which she appeared in from 1947 until 1952. Her last known production was in the Firm’s White Horse Inn (1953). New Zealand-born actor Harry Leston’s long career on the Australian stage saw him become one of the country’s more eminent thespians. He reportedly started out as a teenage mesmerist (billed as Prof. Leston), and as an actor found initial success playing stock Irish policemen roles. By the 1880s, however, he had become a fully-rounded character actor playing anything from Shakespeare and Dickens through to melodrama, farce and pantomime. During his career Leston was also occasionally associated with variety theatre firms, notably Dan Tracey (early1890s) and Harry Clay (ca. 1910s). More details regarding Harry Leston’s variety career coming soon. For a comprehensive biography see Loreley Morling. “Harry Leston: A Versatile Showman” in Mixed Bag: Monograph Series No2 (25 Apr. 2012). Revised from 1997. (1867-) Actress, singer, dancer, dramatist, troupe proprietor. The daughter of actors/entertainers Mr and Mrs Markham Lewis, Blanche Lewis and her siblings (including Florence, Percy, and Caroline) toured with their family troupe during the early to mid-1870s. Lewis and her sister Flo appeared with the Louise Pomeroy Company ca. 1882-83, and in 1884, aged 17, she secured the role of Sinbad in George Rignold‘s 1884 pantomime. She later appeared in dramas, pantomimes and burlesques for Eduardo Majeroni, G.B.W. Lewis, Amy Horton, George Darrell [above] and Dan Barry [above] among others. Lewis founded her own company in 1890, and with husband Albert Norman toured the Norman-Lewis Co from 1894 as a vehicle for her original dramas. The couple ran a Melbourne hotel in the early 1900s but are believed to have later returned to the theatre. Although a number of secondary sources have indicated that Blanche Lewis was a daughter of G.B.W. Lewis and his wife Rose [see below], this was not the case. Another actress with the same name, who appeared with the Virginia Bacon and Co act on the Tivoli circuit in 1937 is also not believed to be this Blanche Lewis. A child performer in England, Rose Edouin toured Australia with her family (the Edouin Troupe, ca. 1856), and after marrying George Lewis in 1864 became known professionally as Mrs G.B.W. Lewis. The couple were primarily associated with theatrical ventures in the East between 1867 and 1876, with years 1872-1876 also including tours of Australasia. They settled in Melbourne in 1876, becomig the Bijou Theatre‘s first lessees, and later leased and/or managed theatres in Sydney, Melbourne and New Zealand. Rose also operated her own academy. From the early 1890s she alternated teaching with tours throughout Australasia (sometimes with her own dramatic company) and elsewhere before returning to England in 1913. For further details see Mimi Colligan. “Lewis, George Benjamin William (1818-1906).” Australian Dictionary of Biography (2005); and Circus and Stage: The Theatrical Adventures of Rose Edouin and G.B.W. Lewis (2013). From 1913 onwards Lewis was known professionally as Rose Edouin again. She died in Yorkshire, England. Her brother, actor, comedian and manager Willie Edouin, ran London’s Strand Theatre during the early 1890s. (1870-1917) Dramatist/librettist, film exhibitor/producer and director. William Joseph Lincoln had success in Britain in 1893 with The Bush King, following this in 1900 with The Power of Wealth. Another of his early works was the 1903 pantomime Little Red Riding Hood. He later turned to the film industry as an exhibitor, director and screenwriter, and after overseeing several films for Amalgamated Pictures co-founded Lincoln-Cass Films with Godfrey Cass in 1912. The company was bought out by J.C. Williamson’s two years later. Lincoln was involved in the making of more than 20 films before his death. J.A. 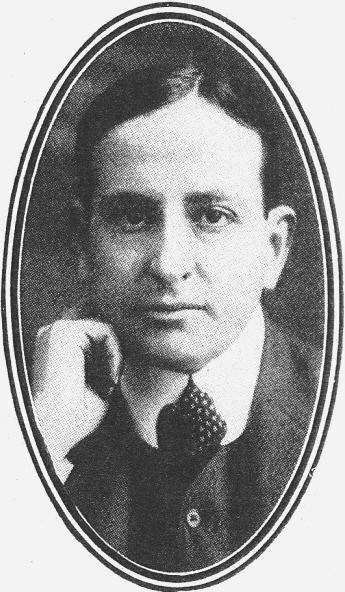 Lipman, also known at various times as Rigby C. Tearle, spent much of the early 1900s involved in South Australia theatre. He toured companies around the state and through Western Australia before moving to Melbourne in 1914 to manage the St Kilda Comedy Theatre. Lipman later travelled to the United States and on his return in 1917 turned to film production and exhibition, with occasional forays into variety theatre and theatrical entrepreneurism. From the mid-1920s onwards he worked almost exclusively within the film industry, and at once stage served as the Australian representative for British International Pictures. Image source: Punch (Melbourne) 28 Nov. (1918), 29. The son of the Adelaide politician V.L. Solomon (1853-1908), Vaiben Louis was educated at St. Peter’s College and afterwards at Wesley College, Melbourne. As a member of an amateur theatrical company playing for patriotic funds during World War I he served as producer, stage manager, librettist, business manager, and comedian. Although he enjoyed his involvement in theatre, Louis’s business activities remained a priority. He nevertheless found time to write and publish poetry, occasional sketches, newspaper articles and collaborated as lyricist on several musical comedies and revues – notably Tons of Money (1924) and the Kenneth Duffield/Dion Titheradge revue, Snap (1925). 1: Louis’s sketch for touring English comedian Gene Gerrard in 1922 led to Hugh J. 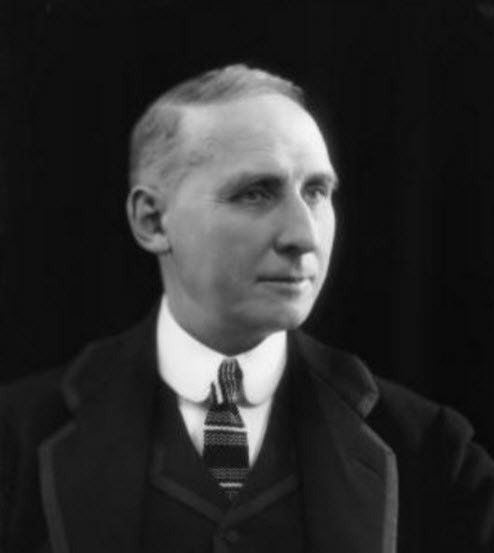 Ward offering him the opportunity to collaborate with English composer/music director Willy Redstone on an Australian musical comedy adaptation of Tons of Money – the hit London farce of 1922/23. 2: AustLit: The Australian Literature Resource has identified at least five of Louis’s poems, published in the Bulletin during the years 1921-1922. If you are a member of an Australian State Library you can access AustLit for free (many public libraries also provide free access). Students and staff of most Australian universities can also access the service through their institution’s library. (-1967) English-born actor, singer, variety entertainer, impersonator. 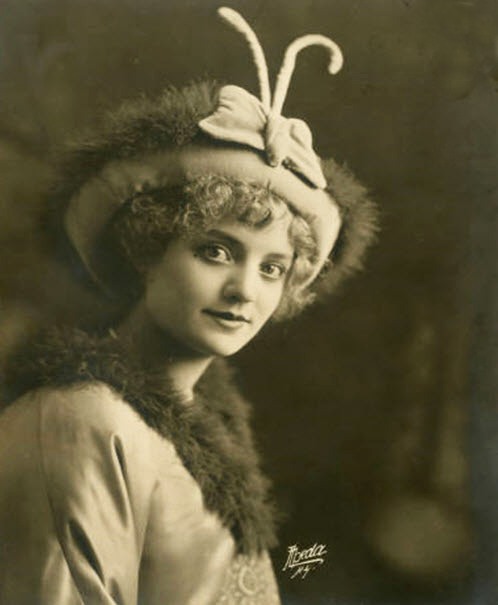 Minnie Love made her Australian debut in J.C. Williamson’s 1914 Christmas pantomime Cinderella, having first toured South Africa for the Firm in pantomime and musical comedy. She remained here until 1921 becoming a huge favourite on both the Williamson’s and Tivoli circuits. After concluding her engagement in the musical F.F.F. (Oct. 1920), Love returned to Britain for ten years. On her arrival back in Australia in December 1930 she appeared in vaudeville for Hugh D. McIntosh. Over the next three decades she secured work in variety, musicals, revues and drama. She also appeared in Efftee variety shorts (1932) and on television (1959). Love retired in 1961 and died in Sydney six years later. 1: Love’s popularity with Australians was such that a racehorse was named after her. The mare, which won races in Brisbane and elsewhere, died in August 1921, less than a year after its namesake had left the country. 2: When she returned to Australia in 1930 Love was accompanied by her husband, London theatrical producer Herbert Cyril. He was well-known for forming the Co-Optimists company, which played London’s Palace Theatre for several years, and for establishing the Thames Riviera, a resort situated near Hampton Court. 3: Love’s last role was in the musical My Fair Lady (1961). She played Mrs Higgins. Image source: Table Talk 3 Dec. (1914), 18. Having started her acting career at age eight, Louise Carbasse was touring with George Marlow‘s Dramatic Company by age fifteen. She worked in vaudeville (1912-1914) with her first husband, actor Wilton Welch, and appeared in nine films for Life Biograph before moving Hollywood where she secured contracts with Universal Studios (1915-18) and Fox Studios (1918-21). Credited initially as Louise Carbasse and Louise Welch, she then became Louise Lovely in 1916. After appearing in some 50 Hollywood films Lovely returned to Australia in 1924 and initially returned to the variety stage. She and Welch also made a number of shorts as well as her last feature film, Jewelled Nights, before divorcing in 1927. Lovely married Melbourne cinema manager Bert Cowan in 1928. The couple settled in Hobart in 1946. 1: As vaudeville performers Lovely and Welch’s performed Welch’s original sketches – notably “The Actress and the Call Boy.” They also worked briefly in vaudeville in the USA before securing film work in Hollywood. After returning to Australia the couple introduced Tivoli circuit a vaudeville act they had developed in America, whereby they conducted screen tests on stage, using real lighting and camera equipment. 2: In her Hall of Fame entry in Australia’s Silent Film Festival’s Hall of Fame, Jeanette Delamoir inexplicitly records Lovely’s year of death as 1978. All other secondary sources, including other publications by Delamoir, record 1980. 3: Most secondary sources also record that Lovely divorced Wilton Welch in 1928. She was actually granted a decree nisi in Sydney on 23 March 1927 on grounds of desertion by reason of his failure to comply with a decree for the restitution of conjugal rights granted her in September the previous year. The application for a decree absolute was eventually made so she could marry Bert Cowan, which she did on the same day it was granted (26 November 1928). (-1911) Actor, monologist, elocutionist, lecturer, film accompanist. Although best known as one of Australia’s leading actors of the late-19th and early-20th centuries, Albert Lucas also occasionally worked on the variety stage, being associated with Harry Rickards (1892), John Fuller Snr (1901), the Coulter Comedy Co (1904), and Leonard Davis (Perth, 1905) among others. In the early 1900s he working for West’s Pictures, and accompanied some prominent local films on tour, interpreting the storylines, providing dialogue and/or presenting lectures on the film or its subject matter. This included travelling through Queensland for Birch and Carroll with Robbery Under Arms (in 1908), The Kelly Gang and The Squatters Daughter (both 1910). His appearances usually included renditions of original and non-original dramatic sketches. Described as having “the true actor’s instinct for dramatic effect” and possessing a “clear, resonant musical voice,” Lucas was adept at all forms of theatrical production ranging from comedy to melodrama and Shakespeare. His Shakespearian repertoire reportedly comprised the principle roles for 14 works (Brisbane Courier 28 Oct. 1911, 13). 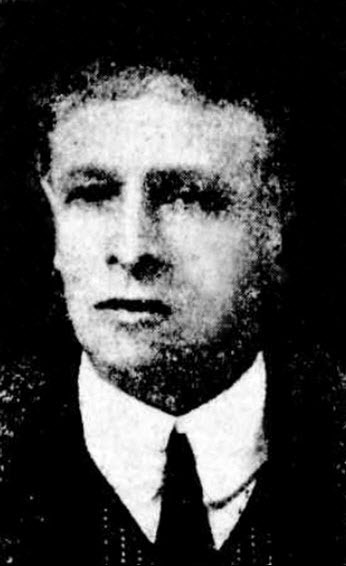 Image source: Brisbane Courier 28 Oct. (1911), 12. 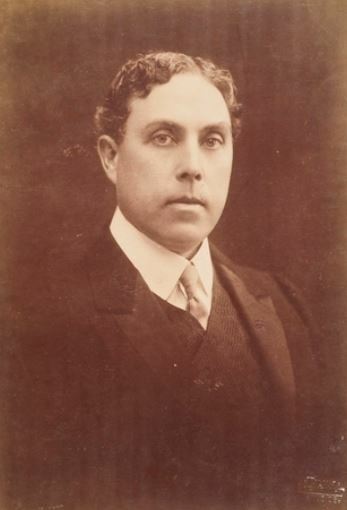 A co-founder of the The Player (later the Theatre Magazine), Philip Lytton was the first legitimate theatre entrepreneur to successfully establish a full-time moving theatre show in Australia, beginning in 1907. He and his wife Madge Hope were by 1914 operating three touring companies. 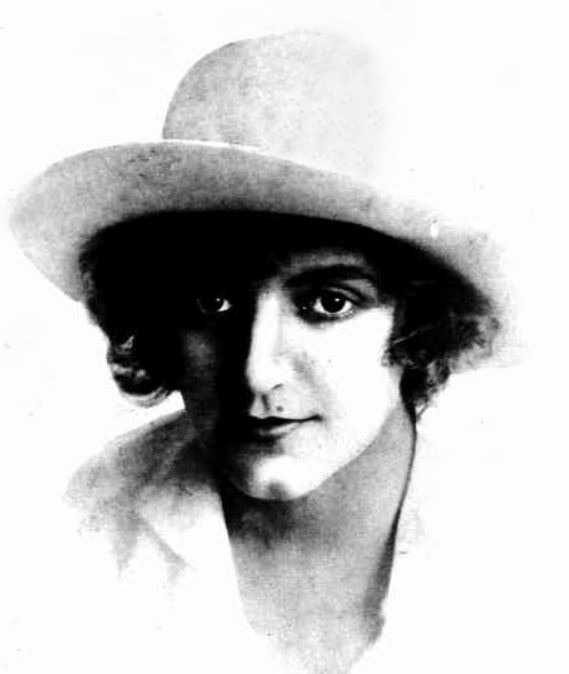 Two of the plays most associated with Lytton were The Girl From Outback (1912) and The Waybacks (1915). Although he sold part of his tent operations to George Sorlie in 1920, Lytton continued to tour his dramatic company around Australasia until the early 1930s.